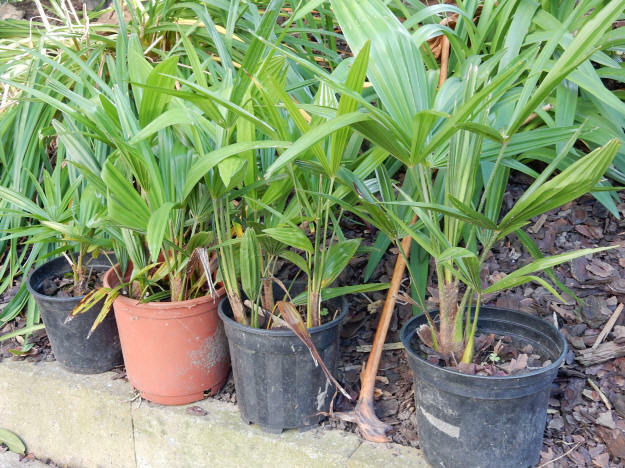 Do you want to try cold hardy palm trees in your garden? 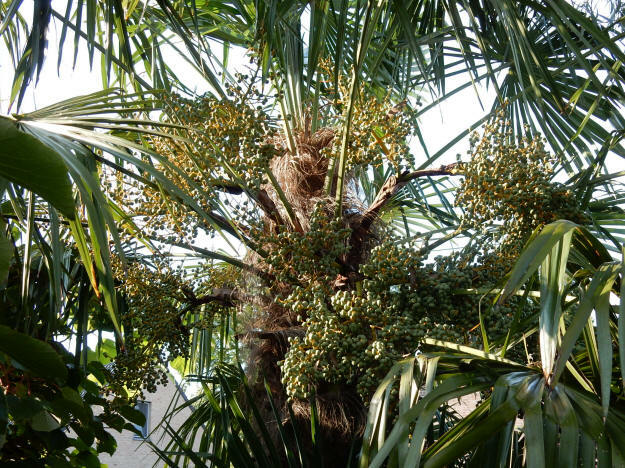 On this page you can read how to get seeds of Trachycarpus fortunei for free. You can also have the seeds sent to you, but then you have to pay for sending the seeds. 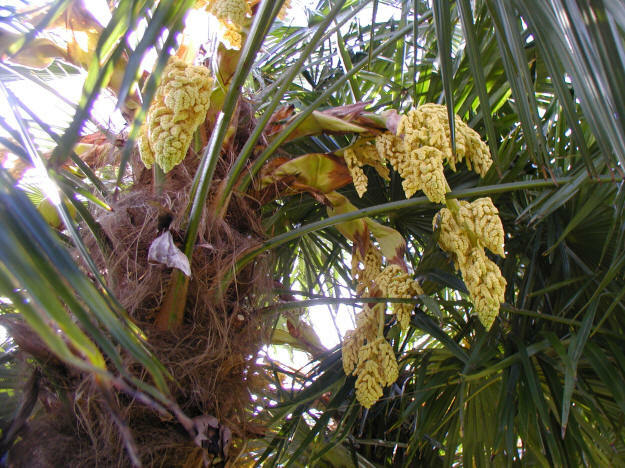 Are you rather interested in seeds of Trachycarpus nanus? We sell them! Deze informatie in het Nederlands. Trachycarpus fortunei, the Chinese windmill palm, windmill palm or Chusan palm, is a palm native to central China (Hubei southwards), southern Japan (Kyushu), south to northern Myanmar and northern India, growing at altitudes of 100–2,400 m (328–7,874 ft). It is a fan palm, placed in the family Arecaceae, subfamily Coryphoideae, tribe Trachycarpeae (de). Trachycarpus fortunei is cultivated as a trunking palm in gardens and parks throughout the world in warm temperate and subtropical climates. 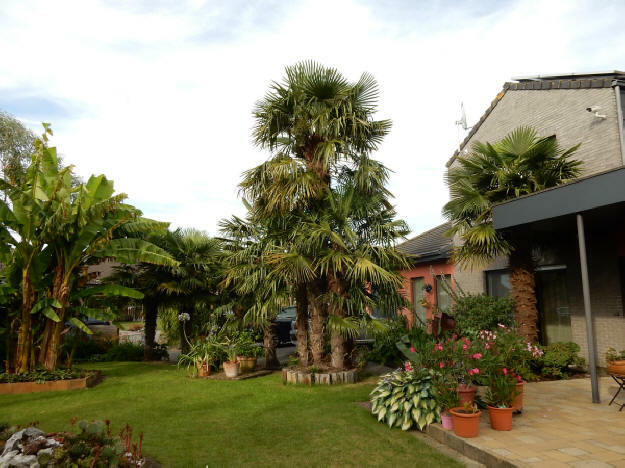 Its tolerance of cool summers and cold winters makes it highly valued by palm enthusiasts, landscape designers and gardeners. It is grown successfully in cool climates such as the UK, France, Belgium, The Netherlands, and southern Germany. In North America it can be found growing in the coastal areas of the Pacific Northwest and in the upper southern states and middle Atlantic states north to coastal New York. Normally, Trachycarpus does not grow well in very hot climates. Commonly lower tolerance limits of −15 to −20 °C (5 to −4 °F) are cited for mature plants. Young plants are less hardy, and can be damaged by only −8 °C (18 °F). This plant has gained the Royal Horticultural Society's Award of Garden Merit. Below this page you can find how to order seeds of Trachycarpus fortunei. Windmill palm is one of the hardiest palms. It tolerates cool, moist summers as well as cold winters, as it grows at much higher altitudes than other species, up to 2,400 m (7,874 ft) in the mountains of southern China. It is not the northernmost naturally occurring palm in the world, as European fan palm (Chamaerops humilis) grows further north in the Mediterranean. The windmill palm has fan-shaped leaves that are 3' in diameter. The leaf shafts produce fibers that cover the trunk and can be made into ropes, mats, brushes, brooms, hats and other fibrous products. The leaves are also sometimes used in thatched roofs. This tree is dioecious and you will need at least one male and female for fruit production. The male flowers are yellow, the female flowers are green/yellow, and will perfume the air around them. 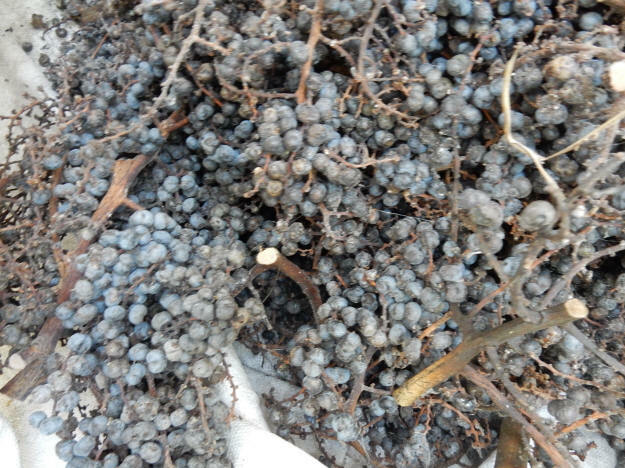 After the female flowers are pollinated, clusters of purple drupes (stone fruit) are formed in the summer. They should be sown into well-drained, sandy compost at any time of the year, and covered to their own depth with sand or grit. No artificial heat is needed; the seed tray is best left in a cool spot outside and kept moist. Seeds germinate very slowly indeed in the spring after a chilling in the cold compost, regardless of when they are sown. Some seeds may take more than a year to germinate. This is how the seedlings look like when they are 1 to 2 years old. 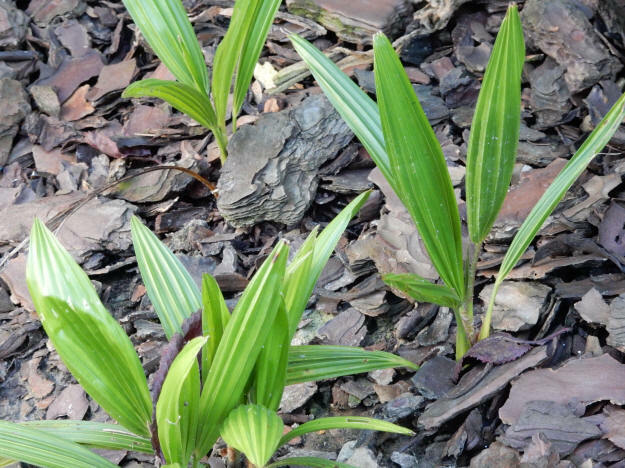 Young plants grow very slowly untill they are about 5 years old. Adult plants can have trunk growth of up to 50 centimeters per year. Do you rather prefer seeds of Trachycarpus nanus? Trachycarpus nanus is a very rare species of Trachycarpus. At this moment we have fresh seeds of Trachycarpus nanus x fortunei from our own Belgian garden. We are selling these seeds. Below this page you can see how to order seeds of Trachycarpus nanus x fortunei. Trachycarpus nanus x fortunei is also called "Trachycarpus nanei". 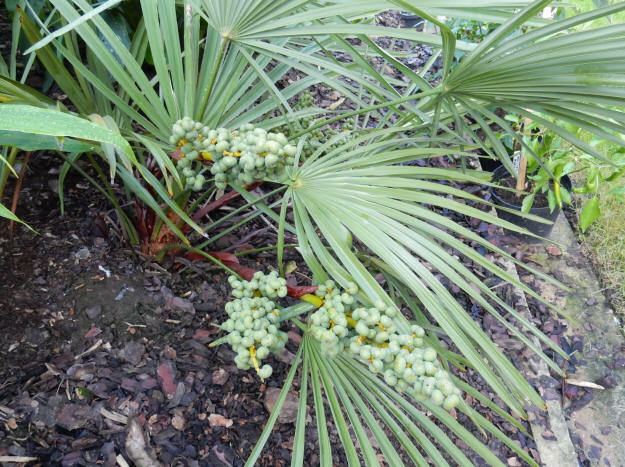 This is how to get seeds from Trachycarpus fortunei for free. Send a mail to info@lingepalm.nl to make an appointment! Send a mail to porlandi16@hotmail.com to make an appointment! Send a mail to dewever.lars@gmail.com to make an appointment! Send a mail to koenraad.declerck@telenet.be to make an appointment! Send a mail to Samuel.clarys@live.be to make an appointment! Send a mail to michael_vdr@hotmail.com to make an appointment! Send a mail to erna.schmit@telenet.be to make an appointment! Seeds of Trachycarpus fortunei: Luc Carreyn-Brigitte Rassalle, Leemput 30, B-8900 Ieper. Send a mail to luc.brigitte@hotmail.com to make an appointment! Seeds of Trachycarpus fortunei: Johan Boeckmans, Boshoven 27, B-2280 Grobbendonk. Send a mail to johan.boeckmans@pandora.be to make an appointment. Send a mail to info@openexotentuinen.be to make an appointment! Send a mail to mieke_hulders@hotmail.com to make an appointment! Send a mail to carokesmet@hotmail.com to make an appointment! Are these distribution addresses too far for you? Then we can send them by letter. We can not guarantee delivery by letter. If you want us to send the seeds by registered letter, you have to add €5. - Send a mail to info@openexotentuinen.be and mention your name, full address (don't forget the zipcode) and the name of the person that has transfered on your behalf if you didn't transfer the money yourself. - You will receive 50 seeds of Trachycarpus fortunei.